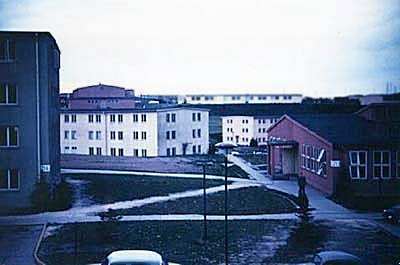 A view of the 6910th Radio Group, Mobile Headquarters building. Building 203 is directly between the Dining Hall (Bldg 213), and a barracks building to the left (Bldg. 214). 1959 Photo by Chuck Maki.